Day 9 of my #Advent Calendar for Gardeners. This reminds me of a Christmas star. I never fail to be delighted by the simple beauty of creamy white flowers. This one is called Leucanthemum Goldrush. 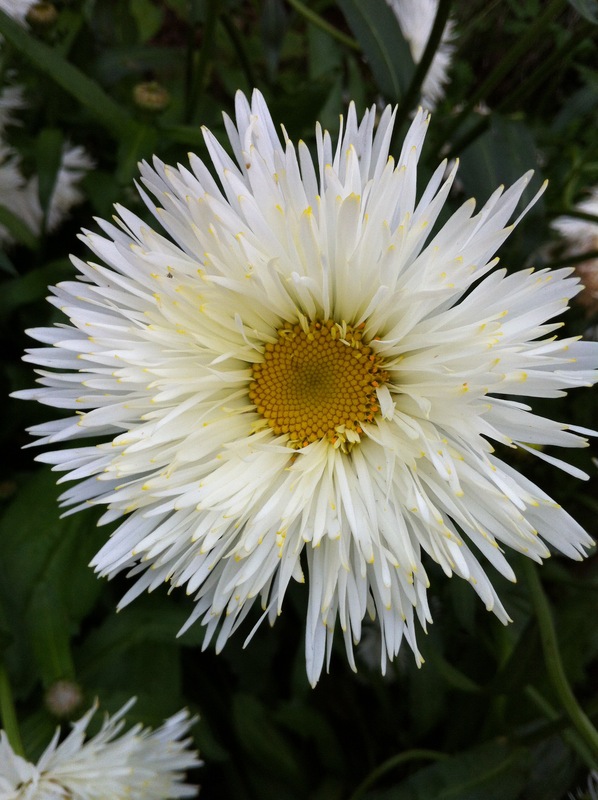 Commonly known as a shasta daisy. I love all daisies, but this one is my latest favourite. It’s kind of messy- which I like. It flowers all summer, and if you pot up some plants and keep them in a warm greenhouse, you may have a few blooms in December, if you are lucky. ← Wordless Wednesday – 7th December 2016 -a line of oak trees. I love daisies too. Nice shot! Thank you, Karen. I wish you a great weekend, enjoy! ‘Kind of messy’ – great description, and a good reason for liking it! Never thought of potting one up in the greenhouse, good idea. Just need a greenhouse! Ours is second hand. It’s an Alton cedar greenhouse and we’ve painted it black. My husband has made staging and we’ve painted that black too. I’ve put a table and chairs in there and I sit in there on nice sunny days. Nice sunny days. That’s what I could do with!